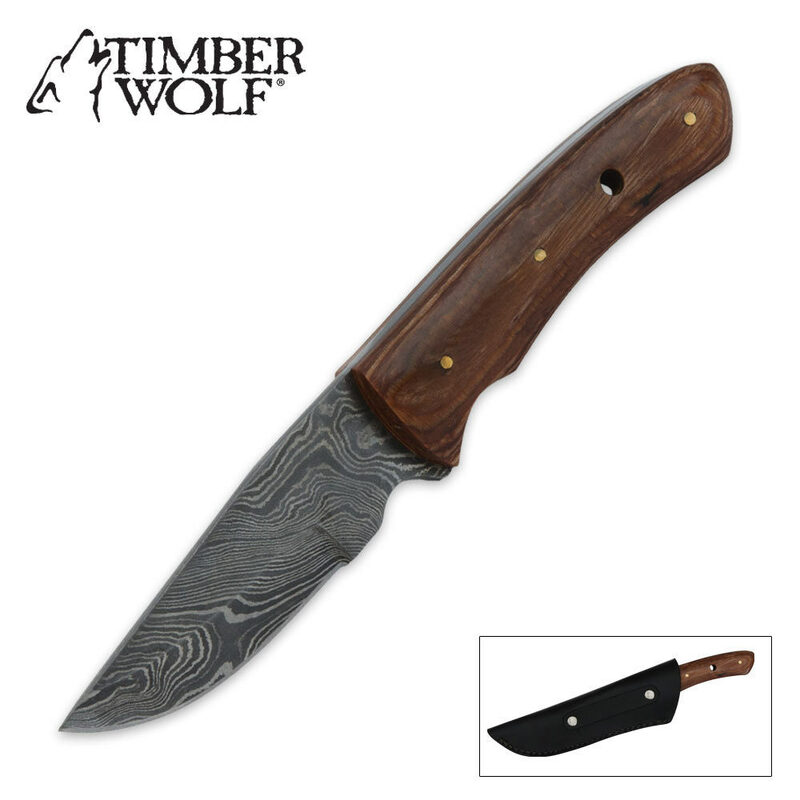 Timber Wolf Hunter Olive Wood Damascus w/ Sheath | BUDK.com - Knives & Swords At The Lowest Prices! This unique Timber Wolf® hunter offers a custom Damascus steel blade. This steel is heat-forged at temperatures of more than 2,000 degrees to create a Damascus pattern usually only seen in the custom knife world. The olive wood handle is accented with brass pins. Includes a genuine leather sheath. 8 3/4” ov.